“Hara Ke’s themes are spring, weather, providence, harvest and growth. Her symbols are seeds, soil, rain, water and dragon images. An African Goddess of sweet water (which also equates with the gentle spring rains) Hara Ke comes into our lives and spring with gentle, growth-inspiring refreshment. According to legend She lives under the river Niger with two dragons in attendance, caring for the souls who await rebirth, just as earth awaits its reawakening with spring. People in Namibia pull out all their garden tools and seeds and bless them today before the sowing season starts. This ensures a good harvest and plentiful rains, the water of Hara Ke’s spirit. If you garden or tinker with window pots, this tradition holds merit. Just sprinkle your tools and seeds with a little spring water or rainwater, when visualize the seeds being filled with pale green light (like new sprouts). Jordan, Michael. Dictionary of Gods and Goddesses, “Hara Ke” at p. 112. “Jun Ti’s themes are long life, fertility, wisdom and tradition. Her symbols are dragons, sun and moon, the numbers 3 and 18. This Chinese Buddhist Goddess oversees all matters of life generously. In works of art she is depicted as living on Polaris, the star around which all things revolve, including each individual’s fate. She has three eyes for wise discernment, eighteen arms holding weapons with to protect Her people, and a dragon’s head that symbolizes Her power and wisdom. Jun Ti can help you live a more fulfilled life this year be overseeing your fortune and well-being. To encourage Her assistance, think silver and gold (or white and yellow) – the colors of the moon and the sun. Wear items is these hues, or perhaps have a glass of milk followed by pineapple juice in the morning to drink fully of her attributes! 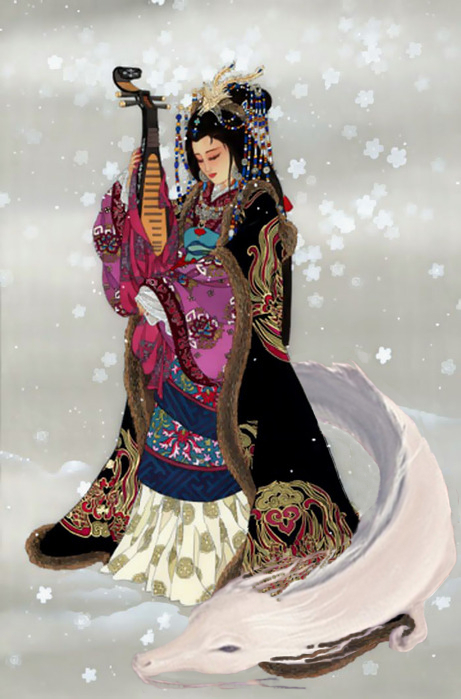 While researching Jun Ti this evening, as with many of the East Asian Goddesses I research, I ran across several variations of Her name to include Jun Di, Zhunti/Zhuenti, Chun Ti, Chandi, Cundi, Cundi Guan Yin and Juntei Kannon. I also found some associations with the Taoist Goddess Dou Mu Yuan Jun, Kwan Yin, Avalokiteśvara and Marici. Cundi is immensely popular in East Asian Buddhism. While Cundi is less well known in the Tibetan Vajrayāna Buddhist community, she is revered in the Chinese and Japanese Buddhist Esoteric sects. 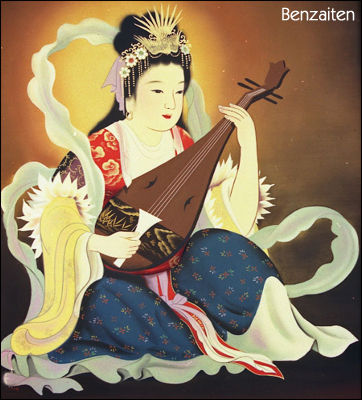 In China, she is known as Zhǔntí Púsà (準提菩薩, “Cundi Bodhisattva”) or Zhǔntí Fómǔ (準提佛母, “Cundi Buddha-Mother”), while in Japan she is known as Juntei Kannon (准胝観音, “Cundi Avalokitasvara”). She is recognized as one of the many forms Guan Yin – the Bodhisattva of Compassion. A Bodhisattva is anyone who vows to cultivate Wisdom and Compassion to save sentient beings from suffering. The word ‘Cundi’ literally means ‘extremely pure’. 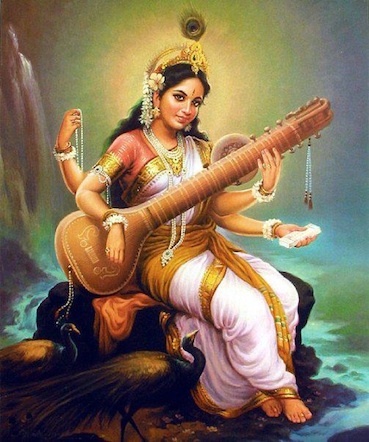 Due to Her status as the Mother of all the Lotus Deities in Tantrism, so She has the epithet of Mother Buddha, Cundi Mother Buddha is also called the Seven Koti Mother Buddha, which means that She is the Mother of Seven Billion Buddhas and Bodhisattvas. The cult of Cundi probably originated from Mahayana Buddhism’s absorption of some elements of Indian religion in which the Mahayanists accepted the Goddess Chandi as a bodhisattva (just as many Chinese deities were eventually absorbed into the pantheon of Chinese Buddhism and declared by Chinese Buddhists to be “Dharma protectors”). Perhaps the original intended audience of the Maha Cundi Dharani Sutra were devotees of Chandi who believed in the efficacy of magic spells and as an upaya, a text that would appeal to them and encoded with Buddhist teachings was composed. The Dharma is infinitely accommodating and can be expressed in different ways to people of different levels and perceptions. Cundi can be seen as a personification of the Enlightened Mind of Compassionate Wisdom. Her devotees revere her as “The Mother of Seven Million Buddhas”. This is perhaps a poetic way of saying that the Reality which Cundi represents is the Source of All Enlightenment. Each one of Cundi’s eighteen arms represent a particular quality of enlightenment such as the unflagging zeal to save sentient beings and perfect knowledge of the past, present and future. Each one of her hands are either forming a mudra or holding an instrument symbolizing an activity characteristic of an enlightened being. For example in one of her arms, Cundi holds an axe which signifies the elimination of evil. Another of Cundi’s arms form the Abhaya Mudrā which signifies the bestowing fearlessness to Her devotees. 1. The original 2 hands forming the root Mudra of Expounding the Dharma represents the fluency of elucidating all Dharma. 2. The hand holding the wondrous precious banner represents the ability to build a most magnificent, great monastery. 3. The hand forming the Fearless Mudra represents the ability to deliver sentient beings away from all terror and fears. 4. The hand holding a lotus flower represents the purification of the six senses which, untainted, are as pure as the lotus flower. 5. The hand holding a sword of wisdom represents the severing of the entanglements of afflictions and the three poisons of greed, anger and ignorance. 6. The hand holding an empowerment vase represents the flowing of nectar to nurture all sentient beings so that they may receive the empowerment of the buddhas. 7. The hand holding a wonderful jewelled headdress represents the wish to be linked to wonderful dharma art. 8. The hand holding a vajra lasso represents the ability to attract all into the yoga tantra. 9. The hand holding a wonderful celestial fruit represents the accomplishment of the fruition of enlightenment, and the extensive cultivation of good karma. 10. The hand holding an eight-spoke wheel represents the constant turning of the great dharma wheel, radiating its magnificent lights over the three lower realms. 11. The hand holding a battle axe represents the elimination of all evil practices and the severing of attachment to oneself and others. 12. The hand holding a large dharma shell represents the expounding of pure Dharma which shakes the universe. 13. The hand holding a vajra hook represents the skill to magnetize and attract all phenomena within one’s view. 14. The hand holding a wish-fulfilling vase represents the function of manifesting all treasures and scriptures at will. 15. The hand holding a vajra represents the collective convergence of support given by the eight classes of celestial beings and dragons. It also represents the subjugation of stubborn sentient beings. 16. The hand holding a wisdom sutra represents the self-cognition of knowing the profound and wonderful truth without any guidance from a teacher. 17. The hand holding a mani or wish-fulfilling pearl represents the vibrant and luminous state of mind which is flawless, pure and perfect. 18. The two original hands, beginning with the first hand, are held in the Dharma Expounding Mudra. Hence, the eighteen arms. Some images of Cundi Bodhisattva depict different gestures, such as forming the root mudra or holding mala beads. The meaning remains the same, regardless. Her eighteen arms also represent the eighteen merits of attaining Buddhahood, as described in an appendix to the Cundī Dhāraṇī Sūtra or that of Cundi Bodhisattva. Details of Cundi’s iconography can be found here.